Lisa Larrimore Ouellette is an Assistant Professor at Stanford Law School. She created Written Description as a 3L in 2011 to promote discussion of IP scholarship. She has a Ph.D. in Physics from Cornell University and a J.D. from Yale Law School, where she was a Yale Law Journal Articles Editor. She has clerked for Judge Timothy Dyk on the Federal Circuit and Judge John Walker, Jr., on the Second Circuit. Her scholarship focuses on patent law and innovation. For more information on Professor Ouellette visit her faculty profile. 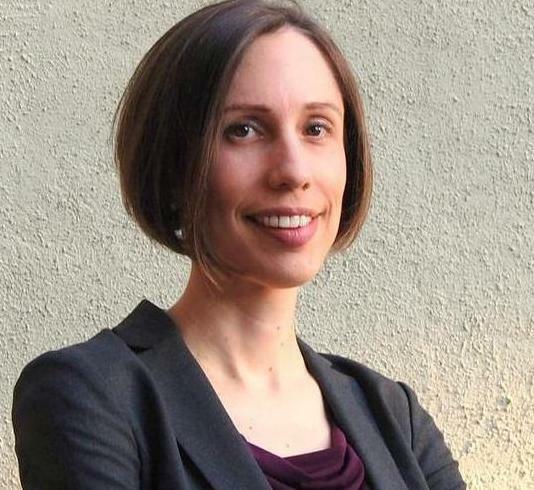 Since 2011, assistant professor at Stanford Law School Lisa Ouellette has been fostering discussions about intellectual property (IP) and patent law among legal scholars, students, and practitioners via her blog Written Description. Ouellette, who started Written Description as a way to stay up-to-date on IP law and remain involved in the patent law academy after her term as a Yale Law Journal articles editor, has since grown the blog into a top source of IP and patent law news and resources. Today Written Description encompasses ongoing posts about significant articles pertaining to IP and patent law, IP and patent law conferences and events, and resources for early-career researchers and experienced legal scholars. Ouellette, who maintains Written Description as a way to share digestible information about patent scholarship with a broader community, took the time to share some information about the blog and the current outlook of patent and IP law. According to Ouellette, patent and IP law remain growing areas of legal scholarship in the US and around the world, as globalization and the internet age continue to make IP cases more common and interconnected with other legal systems and aspects of the law than ever before. How did Written Description get started and what is the focus of the blog? I started Written Description while I was a 3L at Yale Law School. I had been an articles editor of the Yale Law Journal, and that was one of my favorite things that I did in law school because I got to read everything that was in the IP space that year. After that I wanted some way to still keep up with the patent law scholarly literature, so I thought blogging about it would be a good way to do that. When I started I was just doing it on my own, but other professors and fellows have joined me as time’s gone on. I thought there was a need for something in the IP space that highlights new scholarship that might be of interest to IP scholars and the community more broadly. Written Description has many sections in addition to the main blog page including a section on “Classic Patent Scholarship,” “Supreme Court Patent Cases,” and “Patent Law References.” Can you briefly explain each section? The main blog page has quite a range of information. Usually there are posts about conferences that we’ve attended that highlight some of the papers presented there. The rest of the posts are mostly keeping up with new IP papers on SSRN, from law reviews, and from peer-reviewed journals. We put up short summaries of the papers that catch our eyes. I think that one of the hard parts of patent and IP law, especially for younger scholars, is recognizing all of the stuff that’s already been written in the field. For the Classic Patent Scholarship section of the blog I asked a number of prominent IP professors for their thoughts on what 3-5 articles people writing in patent law should be familiar with and compiled a list of their suggestions. I think it’s a nice way for new people in the field to get a sense of what the classic articles are. The Supreme Court Patent Cases and the Patent Law References sections are lists that are more useful as references to people doing patent scholarship. The Supreme Court Patent Cases page has a list of every case that the Supreme Court decided that had something to do with patent law back to 1952, which is when the modern Patent Act was enacted. In some ways I think the most useful part of the Patent Law References tab is the section on searching legislative history, which I added after I was clerking on the Federal Circuit. A lot of students in law schools don’t get a lot of practice in figuring out how to search the legislative histories of statutes, so I added a quick overview of what to do if you’re given the assignment. How is the increasingly global and digital nature of our world affecting patent law now and how do you think it will continue to in the future? One of the interesting things about patent law is that it’s comparatively uniform across the world compared to other legal fields because of the international TRIPS agreement, which every WTO member is required to be a part of. So every country’s patent system looks more similar than every country’s tax incentive system for instance. In the information age, where so much is globalized, country boundaries aren’t as important. It’s unclear what the future direction of patent law will be, but there continues to be a push towards more global uniformity. There are also a lot of scholars and countries that are concerned about the move toward uniformity, thinking that countries need to have more flexibility in how they’re implementing their patent systems because different countries have different needs. What other trends do you see in patent law today? From a doctrinal perspective there has been huge Supreme Court involvement in patent law. Last Term the Supreme Court heard six patent law cases, which is a record number, and there’s been significant shifts in areas like patentable subject matter that have really changed patent practice. From a scholarly perspective, I think there continues to be a growing interest in empirical work. I think there’s also a movement towards contextualizing patent law, recognizing that it operates within a broader economic context, and thinking about how patent law intersects with other legal fields that affect innovation. People are looking at institutions that affect patent law beyond just the PTO (United States Patent and Trademark Office), the Federal Circuit, and the Supreme Court, and drawing connections between these broader contexts. Can students get involved in Written Description, and what advice do you have for students who want to pursue a career in patent law? I’ve had a number of guest posts by students, I think it’s a great way for students who are interested in the patent law scholarly community to get their names out there and to have a platform where a lot of patent professors will hear what they have to say. I welcome guest posts. For students who want to pursue a career in patent law, I would say they should certainly take advantage of any IP and patent law courses at their law school. I think students can also benefit from keeping up with patent and IP law blogs and other news related to patent law. One of the exciting things about patent law is that there is more overlap between the academic community and the practitioner community than in many other fields and a lot of the scholarship has real immediate practical benefits. So if students take an interest in these scholarly debates they can come to practice with creative ideas that their partners will appreciate. What do you think are the primary benefits of academic blogging? When I first started blogging I was partially doing it to get to know people in the patent law academic community. At the time I was a law student interested in entering the academy and it was a great way to meet other academics. Now, even though I know many people in the patent academy, I am still blogging because I think there are important benefits of sharing work that patent scholars are doing with a broader community. I know there are a number of non-academics including judges and practitioners like in-house patent counsels who use Written Description to keep up with patent scholarship because it has more digestible forms of scholarship, so I think that’s an important service to the broader community. While publisher promotion is one way to maintain your journal's online presence, it lacks the focus of journal-specific promotion and the benefits that come with it. Three law review editors shared tips to survive submission season. They stressed time management and planning above all else, starting with learning your style guide. Law review submission season is coming fast, and with it so are countless journal opening announcements and submissions updates to follow!